« Do you know what Martin Luther King, Jr. wrote about religion? Note: Isaiah 46:8-10 says NOTHING ABOUT A TEMPLE TO BE BUILT. Now, I have been aware that many Protestants have considered that Donald Trump was a type of modern Cyrus–essentially a non-believer that God would use to do things, in Donald Trump’s case, to reduce abortions, overturn the LGBTQ agenda, etc. Actually, in March of last year Donald Trump did attribute a quote to Cyrus the Great (see Donald ‘Trump of God,’ Cyrus, or Apocalyptic?) which, at least in my view, he was trying to make the Cyrus connection that he must be aware that others have claimed him to be a type of. But I do not consider this to be a biblical Church of God position. Many evangelicals believe that Donald Trump is ushering in the end times (watch Evangelical support for Donald Trump’s Jerusalem policy). 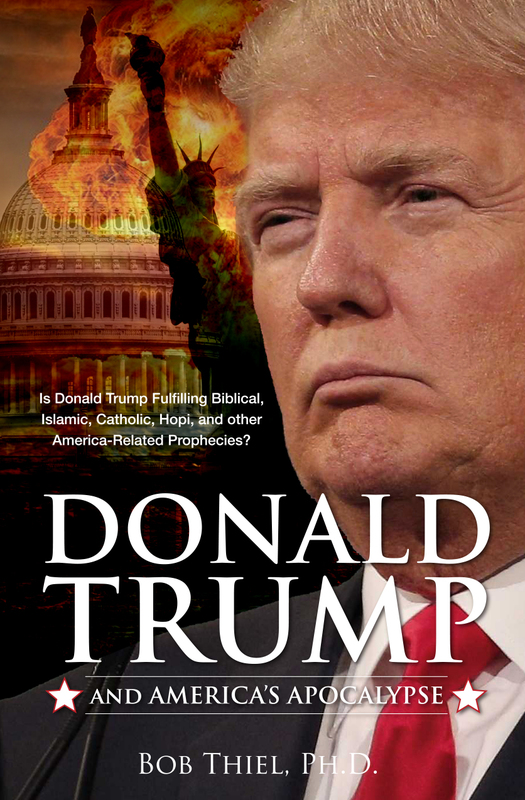 Regular readers of this COGwriter Church of God News page are aware that I have written for years that Donald Trump was ‘apocalyptic’ (watch also Donald: ‘Trump of God’ or Apocalyptic?). But that does not mean that Donald Trump is fulfilling a ‘Cyrus’ prophecy. Donald Trump is apocalyptic–chapter 7 of my book Donald Trump and America’s Apocalypse is titled “20 Reasons Why Donald Trump is Apocalyptic,” and world events have already begun to confirm many of those 20 reasons (watch Trump Presidency Magic 8 Ball or Bible Prophecy?). But unlike Cyrus, Donald Trump was not prophesied by name to get a Jewish temple rebuilt. Real Christians should realize that in the New Testament church, it is Christians, not a Jewish building, that represents the Temple of God. The temple of God in the New Testament is the Christians with God’s Holy Spirit (the term temples above was not in the Greek in the NA27, however a version of naos, is in the Textus Receptus). Christians are to live their lives with the knowledge that God dwells in them (see also Living as a Christian: How and Why?). Thus, Jews know that they can perform animal sacrifices without a rebuilt Temple. When it comes to prophecy, Donald Trump is not in the same category as Cyrus the Great. However, since he leads the USA, he is apocalyptic and many of his statements and policies are leading to the fulfillment of various biblical prophecies. The Next President—By studying prophecy in view of the news, God has made known to me who will be the new president. He also has made known how much time is left before the Great Tribulation and the demise of this nation and the nations of Israel. If you are interested in knowing whether I am right or wrong, please read my article, entitled “Historical Duality Reveals the Future” (Phil Remnant Mag latest mag copy July-Aug.- Sept.2016.pdf or http:// www. c o g – f f. c o m / pr_2016_07_08_09/pr_2016_07_08_09. html#6/). Alton Billingsley proved to everyone that he is a false prophet. He does not lead the Philadelphian remnant of the Church of God like he likes to believe. Many do not understand what the Bible teaches about prophets (see also How To Determine If Someone is a True Prophet of God) and aspects of prophecy. Do not let anyone deceive you about prophecy. Believe the Bible above positions pushed by those who are in scriptural error. This entry was posted on Monday, January 15th, 2018 at 8:30 am	and is filed under COG News, Prophecy.